Description: Blumenthal Buttons are a quick and easy way to spice up any sewing or craft project! Use on fashion accessories, coordinating apparel, scrapbooking or designer crafts. Buttons are not suitable for children, not a toy. 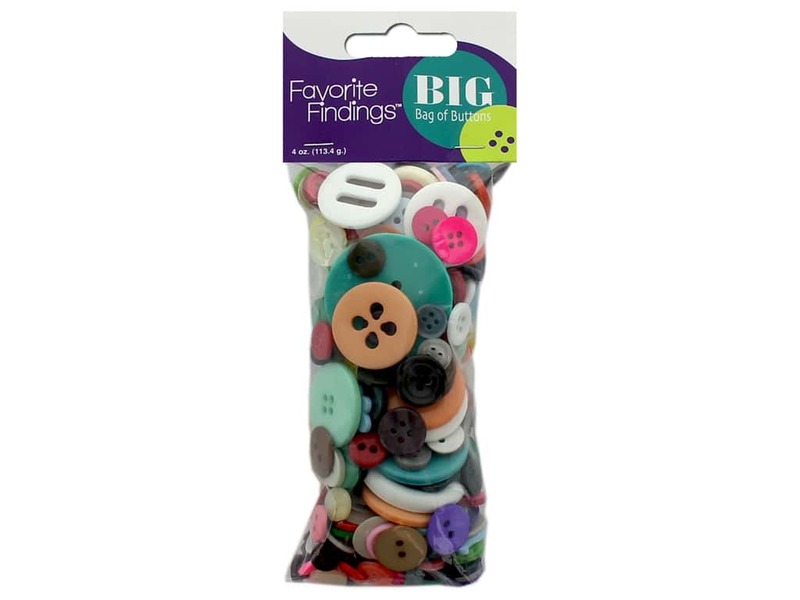 Favorite Findings Big Bag 4 oz Multi- These buttons come in a variety of styles, sizes and have two or four holes. Some are flat, transparent, marbled and some are slightly domed. Colors include red, yellow, orange, olive green, teal, lime green, light blue, royal blue, brown, tan, black, white, clear, pink, and purple.